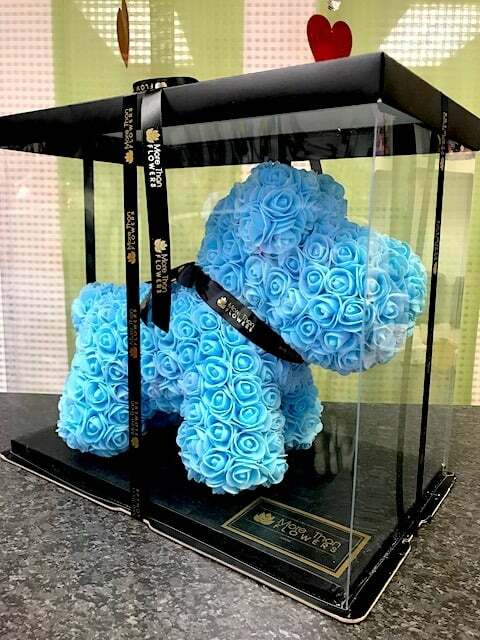 Rose Dog With Gift Box | An amazing decorative Dog 100% handmade of soft FOAM ROSES in all romantic colors. The perfect symbol of love frozen in time for your special person. 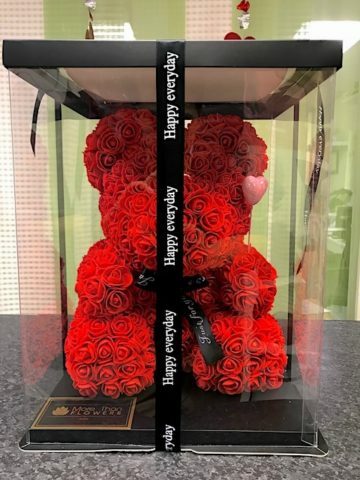 Perfect for Valentine’s Day, Birthdays, Anniversaries, and all occasions. SKU: T002. 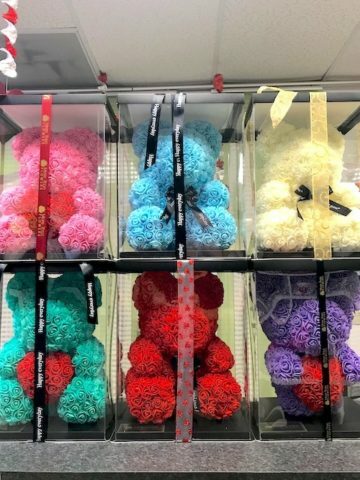 Category: Rose Teddy Bear Collection.